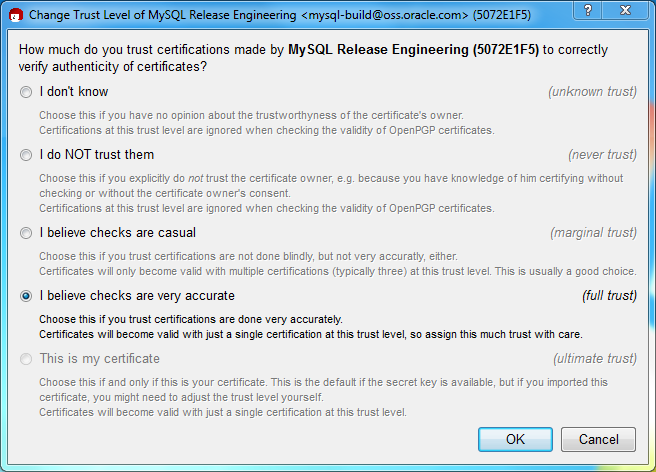 The Section 2.3.2, “Signature Checking Using GnuPG” section describes how to verify MySQL downloads using GPG. 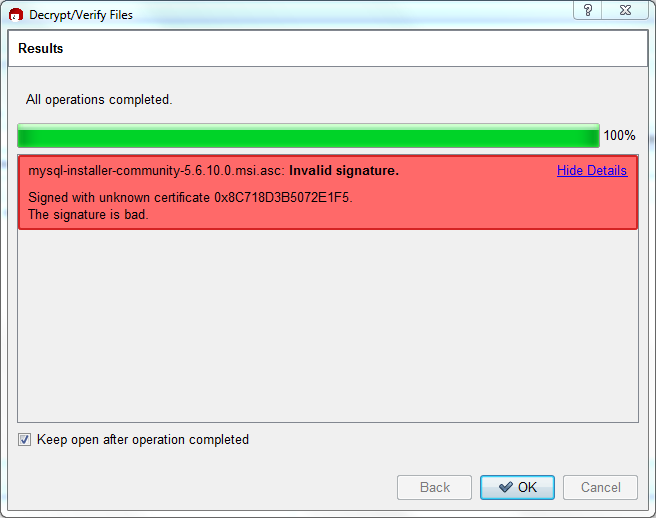 That guide also applies to Microsoft Windows, but another option is to use a GUI tool like Gpg4win. 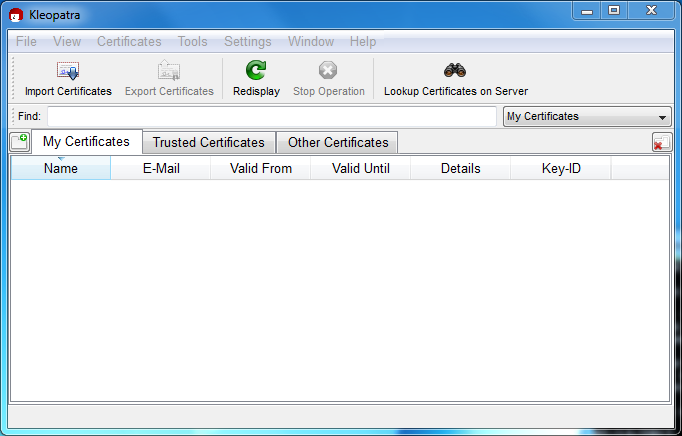 You may use a different tool but our examples are based on Gpg4win, and utilize its bundled Kleopatra GUI. The Section 2.3.2, “Signature Checking Using GnuPG” section explains why you probably don't see a green Good signature result.